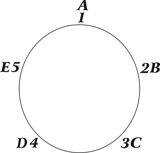 In my article entitled “Mandolin Chords” I showed you a number of basic mandolin chords. Armed with that knowledge, there are thousands of songs you can play simply by strumming the chord and singing, humming or whistling the song. So here is a list of of songs that only use TWO CHORDS (and you can learn how to play some of these in my new book, Easy 2-Chord Songs for Mandolin). In addition or instead of finding free articles on the Internet, I would honestly suggest you purchase my book and CD set, Bluegrass Mandolin for the Complete Ignoramus. It has tons of easy tunes, is fully illustrated, and the friendly and easy instructions will keep you from developing BAD HABITS that will be difficult to break. It will send you down the road of happy mandolin playing. Why don’t you give it a try? It is spiral bound and comes with a CD. 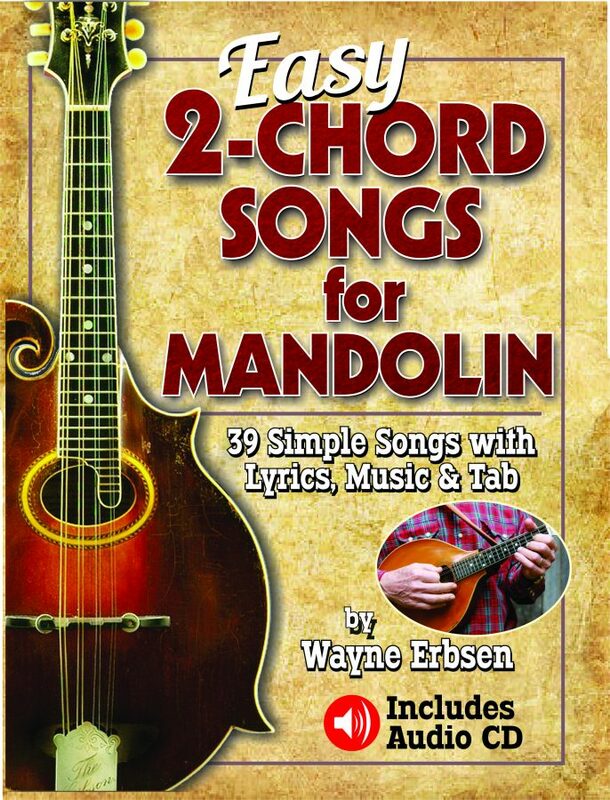 I have a brand new book mandolin book out for beginners, Easy 2-Chord Songs for Mandolin. It includes dozens of classic folk, bluegrass and gospel songs that have only TWO CHORDS- it doesn’t get any easier than this! It is spiral bound and comes with a CD.